Come to Bentley’s on 27 for your next private event. 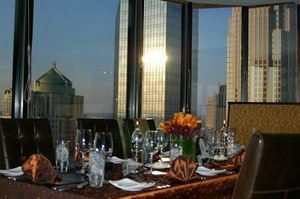 Grace your guests with skyline views in three directions from our impeccably appointed dining rooms. If you are planning a special dinner for two, a cocktail party for 50, or a wedding reception for 350, Bentley’s on 27 has the room and floor plan to fit your needs. Whatever your next event may be, contact our Events Coordinator for details about menus, entertainment, décor, and availability.